Neck sprain is a nonspecific soft tissue injury that is usually diagnosed as muscular strain. Sprained muscles can occur virtually anywhere in the body and might affect the muscle itself or any of the attaching soft tissues, such as tendons or ligaments. Since many muscular groupings reside in the neck or interplay with the neck muscles, it is possible to experience pain from sprain of any of these structures in and around the greater cervical spinal anatomy. This dissertation details the occurrence of neck strain, including its causes, symptoms and treatments. We will focus on easy home care for minor neck injuries that affect the soft tissues. Sprains can occur for various reasons, but usually involve overflexion, overextension, overexertion or unstable movement of a particular muscle or soft tissue grouping. Basically, muscles are designed to move a certain way, in a certain range of motion and until they are exhausted. When the muscle is forced beyond this range or forced to move in a manner which is not natural and supported, injury may result. Sprain is one form of muscular injury that might occur and ranges in degree from minor and temporary to extreme and debilitating. Looking upwards, downwards or far to one side can all cause sprain to occur, especially when the position is held for an abnormal length of time or repeated over and over again to greater degrees. Sometimes using the arms can cause neck strain or radiating pain into the upper back and shoulder. Overuse can create the ideal circumstances for sprain to occur, such as repetitive labor activities. Sudden jolts of hyperextension or hyperflexion can also cause a sprained neck, such as during a fall, a sporting accident or when whiplash occurs. 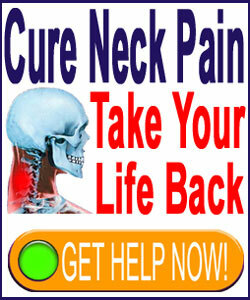 It is possible to suffer a neck sprain from aggressive chiropractic adjustments, as well. Many patients have written to us citing chiropractic cervical manipulation as being the direct source of recurrent soft tissue pain in the neck region. Sprain in the neck region is usually characterized by immediate severe pain upon movement. 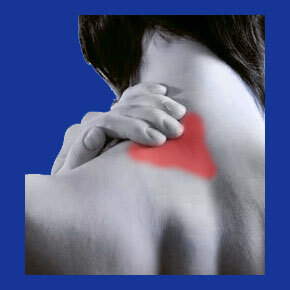 If the area is not moved, the pain will typically diminish and not likely reach intolerable levels. However, if the region continues to be mobilized, the pain will likely increase steadily until the person is unable to move the neck in the affected range of motion without great distress. Typically, pain will be minor throughout the normal range of motion for the affected muscle or grouping, but will have intense hotspots of agony in certain ranges of movement, typically close to the end of the natural range. There might be the perception of heat present and the muscle might actually feel hot to the touch. Some sprains might also involve minor tingling feelings, especially once the muscle is rested. It is possible to suffer inflammation of the area or discoloration, ranging from red to black and blue, depending on several case-specific factors. It is very common for patients to have difficulty finding a comfortable position after neck sprain. This is because lying down is likely to put some type of stress on the region and might be immediately painful or become painful after a time spent reclining. This pain might contribute to insomnia if it is severe and this added stress can retard the healing process. It is of paramount importance that the area be rested and allowed to heal. Try to find the most comfortable position and change positions as needed to prevent the accumulation of pain and stiffness. As the condition improves, try to gently move the neck to increase circulation and improve the healing response. Avoid placing stress on the neck by making sure the area is supported well during the initial healing phase. Do not fall asleep sitting up or with the head hanging downwards or falling backwards unsupported. Ice is great for the first 48 hours. Applying ice for 15 to 20 minutes every hour or two will really help reduce inflammation and also provide numbing comfort for pain. After 48 hours, substituting heat is best, with wet heat being particular effective for relieving pain and speeding healing. Standing under a hot shower should feel great and really counteract stiffness. Gentle massage or self massage of the region will also speed the healing response and should provide relaxation. Aggressive and painful styles of massage should be avoided since they risk aggravating the condition prematurely. OTC pain remedies might be useful, with our preference going towards topical rather than orally ingested products. If pain persists or worsens, or if more significant symptoms develop, be sure to see your doctor immediately. Some conditions might involve vertebral or intervertebral injury and may require more involved medical care than can be provided at home. Even extreme soft tissue injuries may involve tissue detachment and might require professional rehabilitation or even surgical intervention. When in doubt, be safe and get yourself checked out.